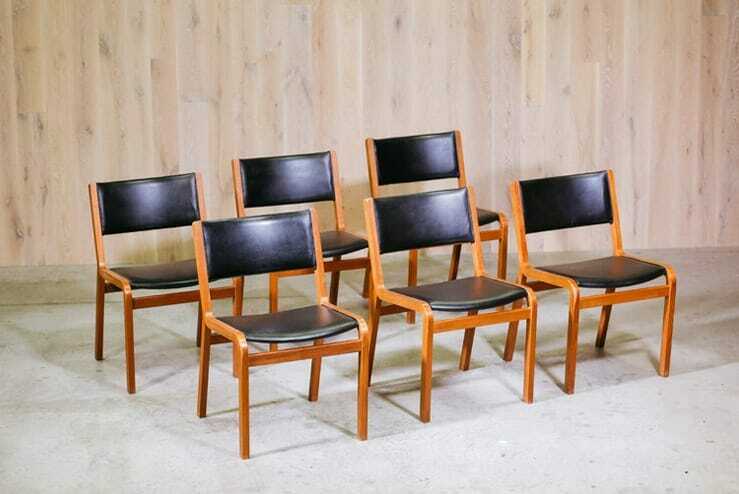 Set of six Kai Kristiansen for Magnus Oleson stackable dining chairs. Bent wood frame with black vinyl upholstery. 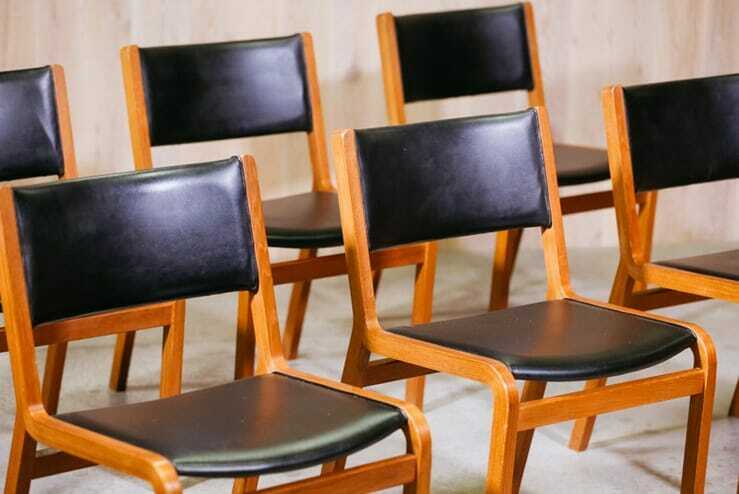 These chairs epitomize the streamlined shapes of Danish Mid-century Modern design. There is a bit of wear on the wood; the upholstery is in good condition.